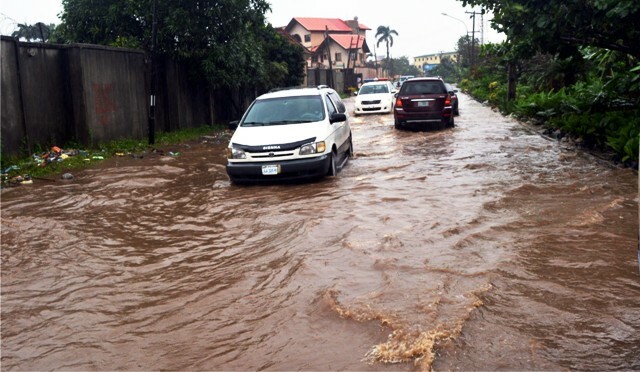 A flooded area in Lagos after a heavy downpour, recently. 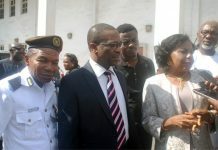 Environmentalists, Mr. Obodoekwe Stephen and Otiasa Christian have said that the proliferation of debris along water channels could also be responsible for the series of boat mishaps witnessed in recent times in Rivers State. The environmentalists said this at different fora in Port Harcourt while reacting to the boat accidents which claimed the lives of three persons in the State. They said that the incessant dumping of plastic wastes into the waterways and wreckages of abandoned ships and boats could constitute big obstacle to water transportation. They stressed the need for the government to put in place measures towards clearing the waterways of debris to ensure safe marine transportation in the State. Mr. Otiasa Christian said that apart from clearing debris, those involved in marine transportation particularly boat drivers need adequate knowledge of the weather. The environmentalist argued that piloting boats during storms with poor visibility sometimes lead to accident, stressing that these must be avoided. According to him, the relevant authorities must ensure that boat pilots and other boat operators are equipped with the necessary skills to determine the weather conditions before taking passengers out of the shores. On his part, Mr Stephen Obodoekwe, who is the Programme Officer of the Centre for Environment, Human Rights and Development (CEHRD) stressed the need for the all relevant authorities to clear the water ways of abandoned ship wreckages and other forms of debris. Mr. Obodoekwe who spoke in a telephone interview with The Tide, said that it could be possible that the two accidents were caused by these wreckages and over speeding stressing that the relevant agencies must put in place machineries towards clearing them from the water environment.